Having been teased for the past couple of weeks, the Iron Man edition of the Galaxy S6 Edge has now been completely unveiled by Samsung. 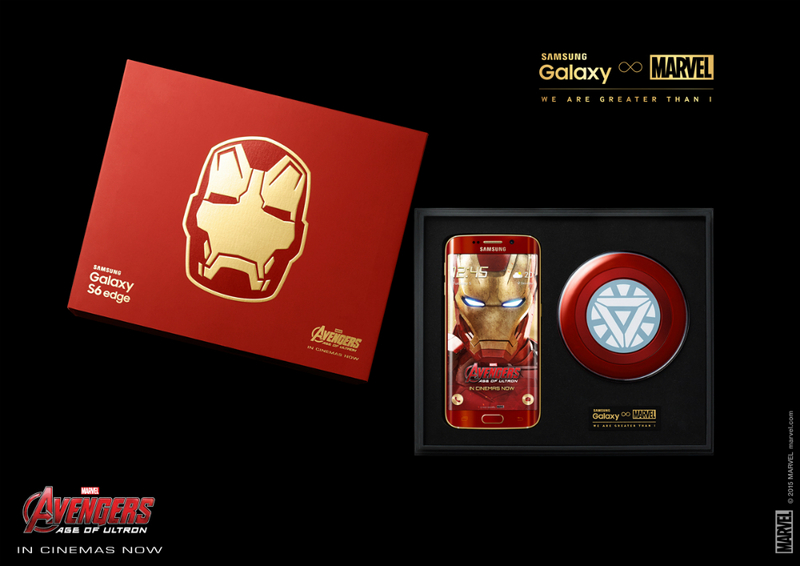 Featuring the exact specs as the regular S6 Edge, the Iron Man edition brings a bright Hot-Rod Red and Gold color scheme, with a special Iron Man helmet emblem on the backside. Sadly, this epic device does not appear to be bound for US shores, and will instead be available in South Korea beginning 27, with further availability in China and Hong Kong later in June. We had hoped Samsung would launch the device unlocked here in the US possibly, considering they tweeted about it from their US account, but alas, no love for America this time around. You could always import it, if you really care.